The Carmelite priest went on to say that while many Western countries were glad to see people leaving their homelands, seeing in them a source of cheap labor, this was not good for the gospel. 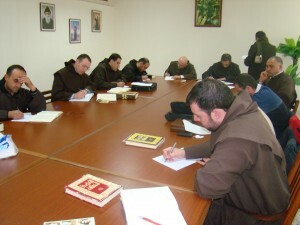 The Carmelite Fathers in Lebanon are working hard to create reasons to give the local Christians some hope for the future. The most important thing is to convince Christians not to sell their land and homes, Father Abdo believes. He told ACN that money coming out of Iran and the Gulf states is being used to buy property in Lebanon, and this is something that must be prevented. Father Abdo also sees the need to create employment for Christians in the Middle East, since they are often discriminated against in their search for work. By creating employment, it is possible to give them a reason to stay. One Lebanese Christian has established an international software firm, and the Carmelite monastery in Kobayat has provided him with a place where he can immediately begin work. In this way 45 jobs have been created in this village close to the Syrian border and far away from the capital Beirut. The company was set up a year ago and hopes within a year to be able to create over 100 jobs for both women and men. 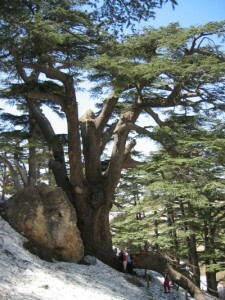 At first glance there are many problems in Lebanon, the Provincial explained. Yet, as a Christian he is “optimistic,” he told ACN. “We might suffer, we might have difficulties, but when we are united with Christ, then we are bearing witness to him and giving hope to others. We are also giving hope to the Muslims and the other communities, since without us they would not have the opportunity to come to know Christ,” he emphasized. Moreover, he can detect many signs that give grounds for hope. For example, the climate of society in Lebanon is a moderate one and there are many Catholic schools and universities in which there is a good dialogue with Muslims. Of the 200,000 or so students attending Catholic schools in Lebanon, roughly half are Muslims, he told ACN. The same is true of Catholic universities. The Carmelite order in Lebanon has six monasteries with 31 monks, over half of whom are aged 35 or under. This particular province of the order was established 40 years ago, and is a growing one. The Carmelite Fathers have been present in Lebanon since as early as 1643. There continue to be vocations, Father Abdo told ACN, but they are fewer than in the past. Since Christian families in particular attach great importance to education and often make great financial sacrifices in order to be able to send their children to private universities, the climate of vocations is not as favorable as it once was. 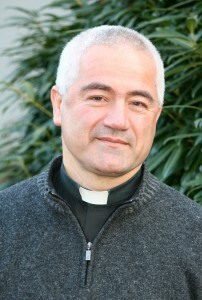 In addition, young people are now becoming connected via the Internet with the whole world, and so there are “the same problems as everywhere in today’s world,” said the priest. Yet, young men continue to ask themselves if they have a vocation, Father Abdo believes, and “when Jesus Christ enters into a person’s heart, he does not ask permission of the mind or the culture, but simply says ‘Come!’…” Only recently, the Carmelite Fathers had the joy of seeing another monk take his final vows, and the previous year there were three ordinations. Moreover, many Lebanese priests are working as missionaries in other parts of the world, he recalled. While as recently as 40 years ago Lebanon was still the only country in the Middle East with a Christian majority – even up to 70% – today Muslims are a majority and Christians make up only 45% of the population. ACN has repeatedly helped the Carmelite Fathers for the training of their new vocations, and for the renovation of their monasteries. The charity also helps with Mass stipends. Previous ArticleDon’t You Ever Give Up!